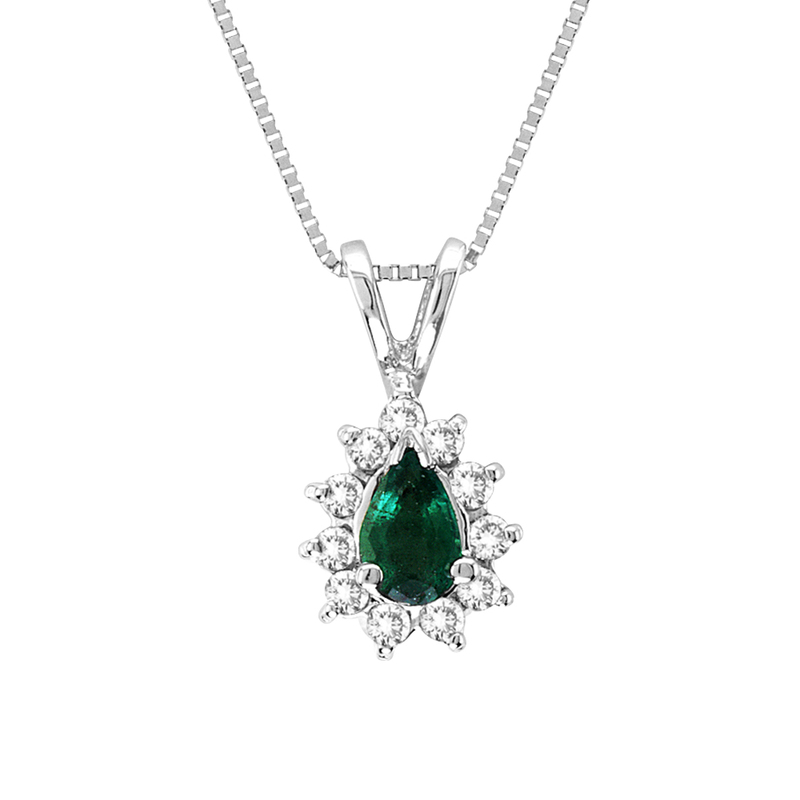 This precious emerald stone pendant is an investment you will want to be part of. 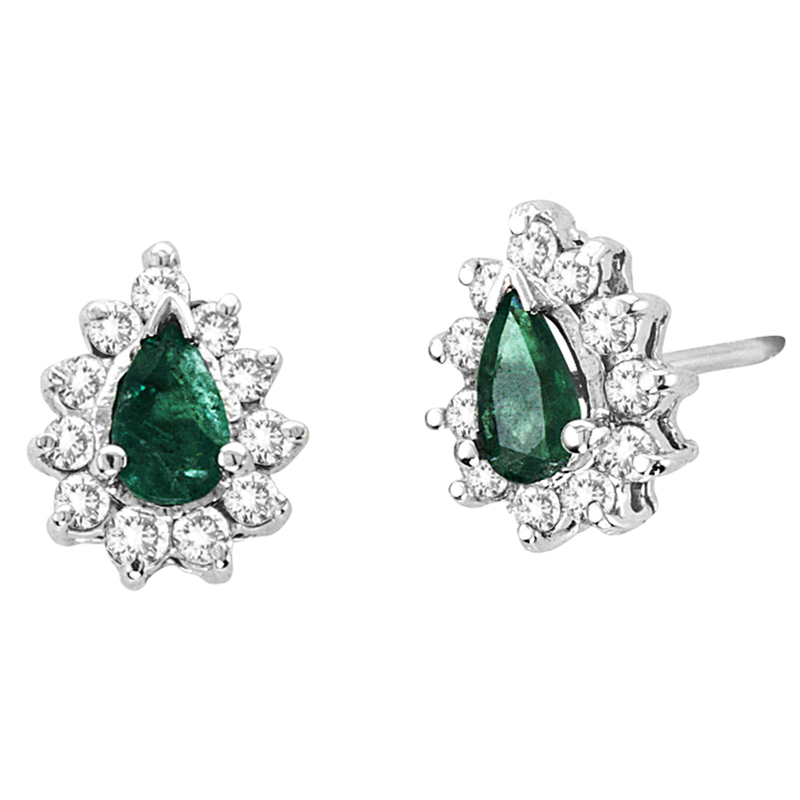 The 0.20 ct 5x3mm pear shaped emerald is surrounded by 11 beautiful diamonds that enhance the gems color. 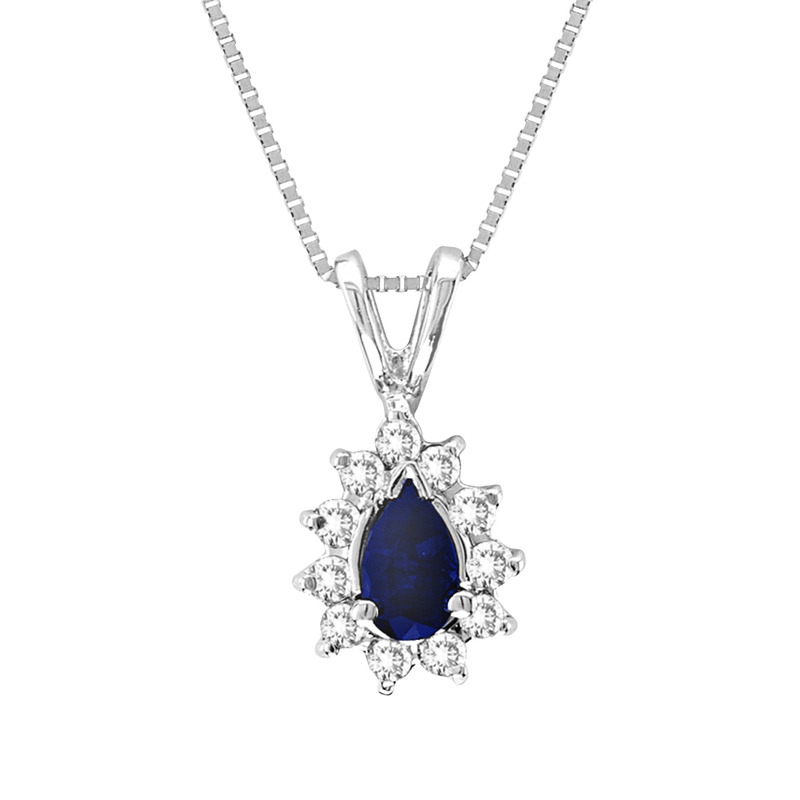 This pendant is a great accessory for both casual and formal occasions. Matching earrings are available as well!! Do not miss out on one of our bestsellers. 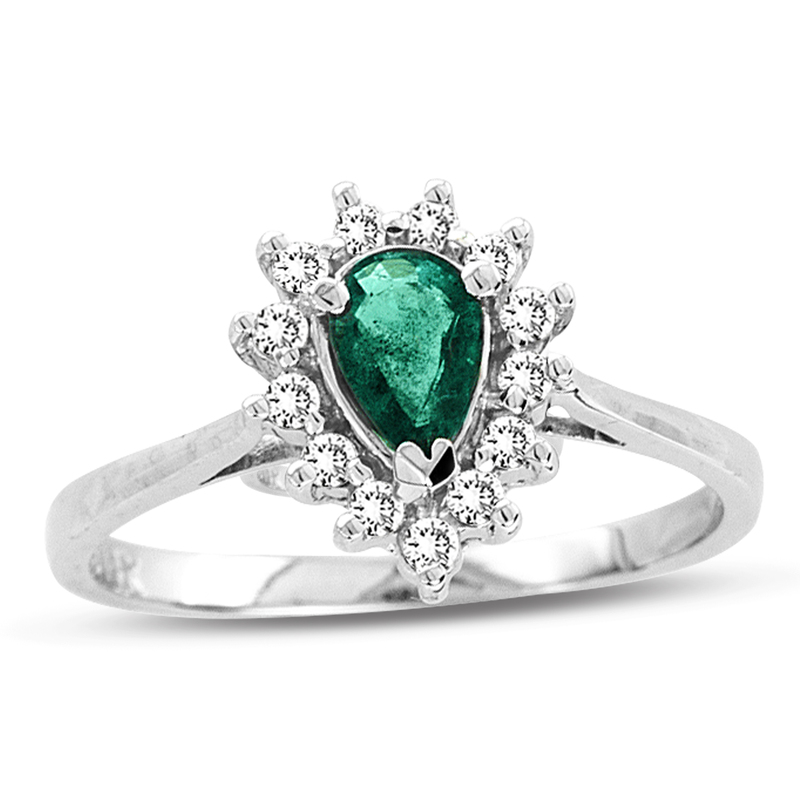 Emerald is the birthstone for the month of May.